Once you have decided on what activity you are going to do to raise money for charity, the next step will be to set up an online giving page. 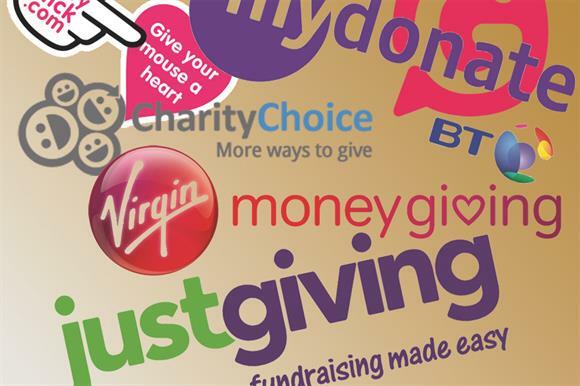 Online giving sites take away all the hassle of collecting your hard earnt fundraisng cash by allowing you to easily collect and raise money for your chosen charity. There are lot's of fantasic websites that allow you to set up an online fundraising page where your friends, family and colleagues can donate to support your charity event. Most sites are commission free and work by taking a very small transaction fee for each donation made, however there is a surprising amount of variation in how much of the money donated your charity will end up receiving. Some sites also charge charities a membership fee, so whilst this will not directly impact on your fundraising totals it does still represent a cost to the charity. Make sure you do your research and choose the site that is right for you.